A recent study published in the Annals of Allergy. Asthma & Immunology reported that year round allergies to dogs, cats, and dust mites seem to pre-prime the immune system so that symptoms appear earlier or are more severe when confronted by rag weed. In the study researchers wanted to determine why some individuals develop symptoms during ragweed season earlier than others. Testing several perennial allergens they found that being allergic to dogs, cats or dust mites set those suffers up for a quicker onset of hay fever symptoms when exposed to ragweed. In the study 123 people were allergic to ragweed and of these 66% were positive for cat allergies, 63% were allergic to dog allergies and 73% were allergic to dust mites. All were exposed to ragweed for 3 hours and completed symptom questionnaires every 30 minutes during exposure. In general, those who tested positive for dog, cat, and dust mite allergies developed symptoms either faster or to a greater degree than those who tested negative to these. This difference seemed to disappear after 3 hours so that once the hay fever season is in full swing, the differences between the two groups no longer existed. It was suggested that to avoid the overload at the beginning of the hay fever season, sufferers with perennial allergies (dog,cat, dust) should avoid them beforehand or treat their perennial allergy symptoms before hay fever season. Guests of Dr Carl O Helvie, Host, the Holistic Health Show on Saturday will be Dr Murray Grossan, Dr Stephen Morrissey, and Dr Bianca Garilli. My second guest, Dr Steven Morrissey has a doctorate in Oriental Medicine and more than 25 years of clinical experience with herbal medicines, homeopathy, and nutrition. He has made over 30 trips to China where he established two joint venture companies to undertake research on safety, efficacy and the quality of botanical medicines and GMP botanical manufacturing. 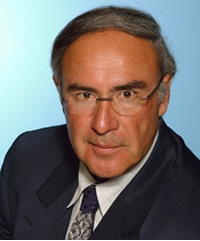 Additionally, he has established comprehensive supply chain management practices for medicinal plants, undertaking numerous research collaborations with Universities and Institutes, and has developed more than 40 professional and consumer health products, including Plantiva (R) brands Aller Dx, Immune Dx, and Vira Dx for Allergy and Immune Response and Recovery. 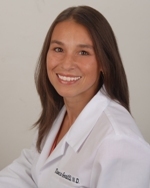 My third guest is Dr Bianca Garilli, a naturopathic physician practicing in Orange County, California at the University of California, Irvine (Susan Samuell Center for Integrative Medicine) and in Mission Viejo. 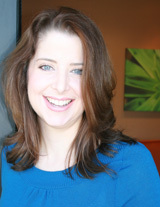 She specializes in adults with chronic conditions and children with autism and ADHD/ADD. She received her Naturopathic Medical Degree at Bastyr University and prior to that time was a United States Marine serving 5 years in the Intelligence Field as an Arabic and Spanish linguist. She then received a baccalaureate degree in biology before attend Bastyr University. (www.allergyeliminationdiet.com) as well as the author of the Allergy Elimination Diet ebook. She is also the creator of the 6 Week Wellness and Weight Loss Course that is run several times a year (www.ocnmp.com) and co-creator of the Susan Samueli Center for Integrative Medicine’s Live Longer, Live Better program. Dr Carl O Helvie, Host, will interview Dr Dobri Kiprov and Dr Ann Lovick on the Holistic Health Show on Saturday. Dobri Kiprov, M.D. is a pioneer in the field of immunology and Chief of Immunology at California Pacific Medical Center in San Francisco. He is a world renown immunologist and one of the first physicians in the United States to complete a formal fellowship program in Clinical Immunology and Immunopathology (Massachusetts General Hospital and Harvard Medical School). He has numerous publications on immunology and published the first description of new immunological related syndromes. Utilizing his background in immunology and apheresis, he has been part of the first trials of immunotherapy (cell therapies) and is currently involved in several projects involving cell vaccines and stem cell therapies. Dr Carl O Helvie, Host will interview Dr Fred Pescatore and Dr Lauren Feder on Saturday. Dr Pescatore , M.D. is a traditionally trained physician who also holds a Masters of Public Health and who practices nutritional medicine. He is the author of the best selling book, Thin For Good, and the number one best selling children’s health book Feed Your Kids Well. 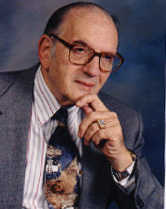 His latest book is The Allergy and Asthma Cure released in February 2003. For five years, Dr Fred was the Associate Medical Director of the Atkins Center for Complementary Medicine before starting his own medical center with extremely busy and popular practices in New York City and Dallas, Texas. Dr Fred is internationally recognized as a health, nutrition, and weight loss expert who often travels around the world lecturing in such exotic locales as India and Japan-usually returning with some new medical techniques to share with his patients. He also lectures across the United States and is actively involved in clinical research. After medical school, Dr Fred studied in Southeast Asia, India, Japan, Africa, and Europe. The techniques he gathered have become part of his broad knowledge of healing. He delights in adding to his knowledge and then sharing it with patients and colleagues. Now, Dr Fred is often called upon by major television and radio shows to be the medical expert on all things nutritional. His work has been featured on such shows at The View, The Today Show, Day and Date, The O’Reilly Factor, Extra and many more,. He has spoken on hundreds of radio shows across America. In fact, for years he was heard daily as the host of the number 1 health radio show in New York City called The Logical Alternative. He is now featured regularly on the radio show, Healthy by Nature a radio show in Dallas, Texas. Because of the respect he has earned in the nutritional supplement industry, Dr Fred is a consultant for many firms and has been instrumental in developing and clinically testing many of the leading nutritional products. He is president of the AHCC Research Association, President-elect of the International and American Association of Clinical Nutritionists, member of the National Association of Physician Broadcasters, and belongs to many more professional organizations. My second guest, Dr Lauren Feder, is a nationally recognized, Los Angeles based physician who is in a private group practice specializing in primary care medicine, pediatrics, gynecology, pregnancy, natural childbirth, homeopathic medicine, holistic health, natural parenting, and chiropractic care. Known for her holistic approach and combining both traditional and homeopathic medicine with a holistic approach she is a frequent lecturer for parents and professionals.